It depends, you could always just advertise in the Yellow Pages… Oh wait, you haven't seen one of those in about 10 years. Just ask your self this question; "When you look for goods and/or services, where do you go?" 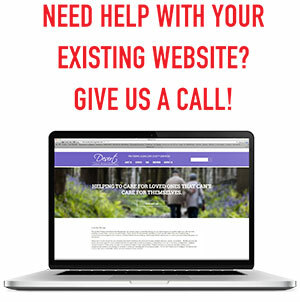 I think we all know the answer… Now days, a website is an absolutely essential tool for any business. INTERACTIVE MARKETING: Truly effective websites combine interesting visual graphics with valuable and easy to access information for the viewer. If someone visits your website, chances are, they are already interested in what you have to offer. At this point, they are looking for answers to their questions in order to make an educated purchasing decision. Don't waste their time with ads and offers that are designed to attract their attention... they're already on your website... you already HAVE their attention. Provide them with easy navigation to get them to the meat of your message and offerings. Answer their questions and give them a reason to linger on your site and learn what you are really all about. Offer help and education about your business and solutions. Interactivity is key to the success of your website. Don't make it feel like a static interrupt driven magazine ad. WEBSITE DEVELOPMENT: The Magic Behind the Home Page... We do our best to create stunning visual impact in all graphic design projects and our websites are no exception. When it comes to the web... the design is only the beginning. All of those cool elements with motion and drop-down menus that really make a website exciting and easy to use are functions of custom programming. In some cases, a simple WordPress driven template site may be suitable for your business. But, before you choose to go this direction, make sure you don't paint yourself into a corner. Many WordPress templates do not have any ongoing support or upgrades. This can end up biting you in the future as WordPress is an evolving platform. 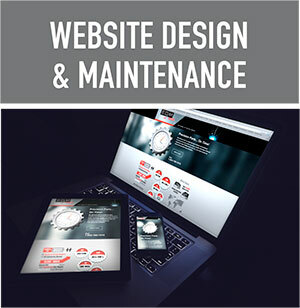 Also consider future potential functionality for your website. Will the template you choose be compatible with the custom programming you may desire? GETTING NOTICED ON THE WEB: The most attractive, information rich website is little more than a needle in a haystack without strategic Search Engine Optimization (SEO). An effective SEO plan consists of both organic and paid advertising efforts... with a huge emphasis on the organic or "on-page" side of the equation. The organic side of the plan requires a very content rich site that is well optimized internally with basic search engine submission and verification. There are also many opportunities for link-trading, affiliate and free listing/directory programs to take advantage of. They say that on the web "content is king"... just remember if the content is not well written and super key-word rich, it wont be very effective in regards to search ranking. On the paid advertising side, there are several options to choose from. Google offers sponsored link programs and pay-per-click advertising campaigns that are a really effective way to get started climbing in search engine rankings. These programs can be adjusted often in order to control traffic and fit changing budgets. KEEPING UP WITH GOOGLE: Google is a moving target, and you have to stay on top of what they are looking for in website searchability. Google is looking for authoritative information on a given keyword search. Think about the content on your site… do you position yourself as THE AUTHORITY on the keywords you want leading to your site? Just Recently (April 2015) Google place higher priority on sites that are mobile friendly. Bottom line.. we have to play nice in the sandbox with Google, they dictate who and why they give higher search ranking to. BEWARE of any so-called SEO tricks, Google will catch on, and your site will be penalized in ranking! Put the internet to work for you... contact us to get started!